This idea is the basis around which we debate the merits of recording accessibility in today’s music landscape. 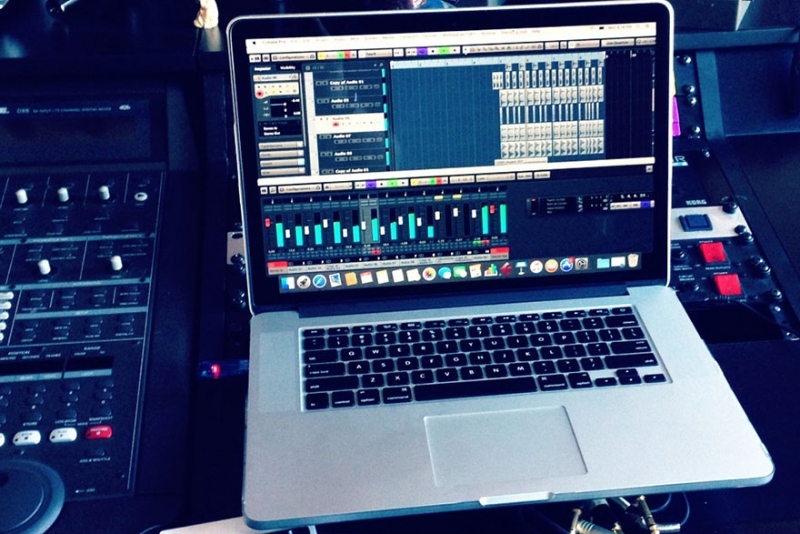 As larger studios across Canada and the United States are shutting down, more musicians are going to laptops, mobile devices, and other means to record their music. Which is great, yes. It’s a wonderful thing to know that anyone anywhere with some basic tools can record themselves and effectively become composers, producers, or whomever they want to be. The dark side of this accessibility though is that, as much good as tech accessibility has done, it has also done some bad. For example, there are billions upon billions of songs out there in the world and on streaming platforms. How does an artist actually get heard among a chorus of literally billions of songs screaming for attention – they simply don’t. When there are so many artists giving away their songs almost for free, how any artist can justify charging anything above $0.99/song – they simply can’t. When it is so easy to plug into existing software and create tracks out of pre-existing sounds, does it make sense for any musician to invest hundreds of hours into developing better musicianship, better songwriting, and more original tracks – it just doesn’t. Though there are some who might dispute that, people are willing to pay as much as $5 or $10 for a cup of coffee that will be gone within minutes but those same people won’t pay for an album of music that could change their lives forever. It’s not that accessibility to technology and recording software has killed the music business. It has just changed the way things are done. Barriers to recording have been torn down and in return, the accomplishment and prestige surrounding putting out a record or a single song has been erased. The ‘music’ means as little as it’s ever meant, culturally speaking. Though there are some who might dispute that, people are willing to pay as much as $5 or $10 for a cup of coffee that will be gone within minutes but those same people won’t pay for an album of music that could change their lives forever. Yes, there are other avenues of deriving income from music, including live performance. Thankfully, those avenues and new avenues continue to exist. The actual content of the recordings however have become increasingly devalued again and again, because it’s so easy. Think about it. Because it’s so easy to make a recording, no artist needs to be at the top of their game on every track. Take Drake as an example. No matter what you might think of his music, he has put out multiple releases every year for the past three years. Though there are a few individual tracks that have resonated with general audiences, for the most part, these records have garnered fair, average critical reviews and have only served as a way to continue featuring his brand in the spotlight. Instead of taking the time to review every bar and every word, and putting out one great collection of songs, this is an example of someone who has put out three or four albums of ‘good but not great’. It’s ok if you don’t agree with this assessment. It still cannot be disputed that the pressure to hit a homerun with every track is not there anymore. Musicians and artists must take it as it is though because it’s not going to change. All of this said though, try not to look at it negatively. Music is a wonderful, amazing, ethereal thing in the hands of those who are willing to put in the effort to create the most interesting and artistic product. No matter how recording techniques or accessibility changes, there will always be musicians and artists who continue to rise above existing trends, and who continue to put out amazing songs, collections, and libraries.